Coyotes in many ways resemble a small wolf, and when they were first discovered, they were actually named prairie wolves. Coyotes are found throughout North America, southern areas of Canada and down as far as Central America. One of the continent's top predators, they are certainly not the top dog and can easily fall prey to larger carnivores. 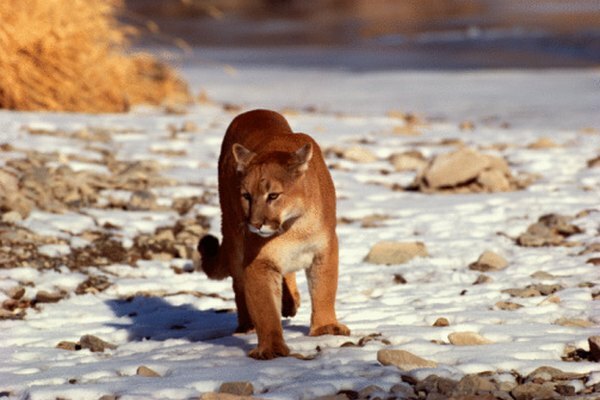 The mountain lion is one of the top predators of the Americas, reaching around 8 feet in length, nose to tail, and weighing about 136 lbs. At one time, they ranged almost everywhere in the United States, Canada and South America. They are now found mainly in high forested, remote areas. Powerful hunters, they specialize in small mammals deer, rodents and even coyotes. They use stealth to stalk their prey and speed to pounce and dispatch the animal with a bite to the back of the neck. The wolf is a larger cousin of the coyote, measuring up to almost 7 feet, nose to tail, and weighing between 40 and 175 pounds. 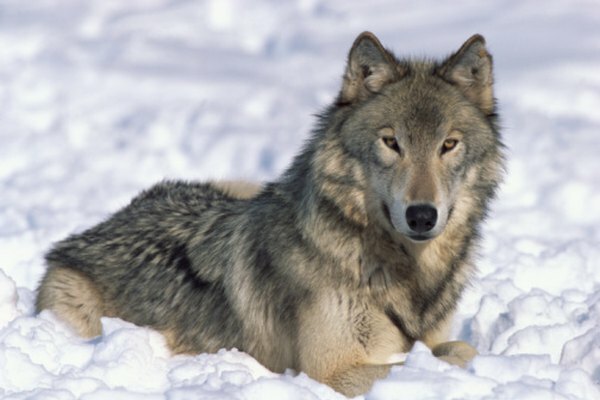 Most of North America's wolves are found in the forest areas of the far northern states and in Canada. Like coyotes, they hunt in packs. bringing down large prey, such as moose and elk as well as smaller mammals. 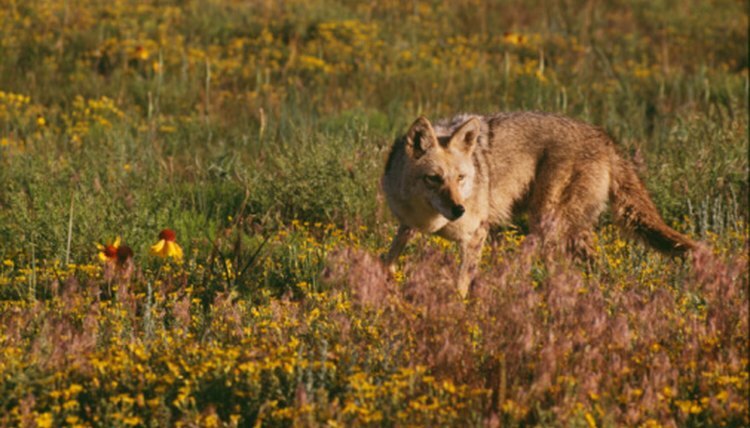 Coyotes are not preferred prey, but wolves will kill them to cut down competition for food and may eat them. The American alligator is a large predator, with adults reaching lengths of 15 feet long and weighing upward of 1,000 pounds. 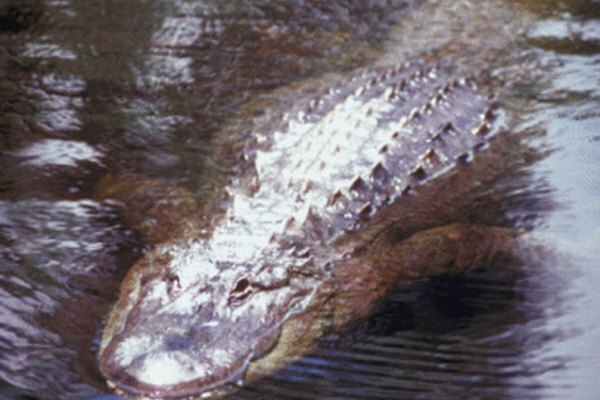 Found commonly in the swamps, bayous and waterways of Florida, Louisiana, Texas and Georgia as well as a few other states, they are a successful ambush predator. They mainly feed on small mammals, fish, snakes and turtles from the rivers in which they live. The alligator is also opportunistic and challenges almost anything that may be drinking from the water in which it is lurking, including coyotes and humans. One of the top land predators, brown bears, or its subspecies the grizzly, can stand 8 feet tall and weight up to 700 lbs. They are found mainly in the northwestern United States and Southwestern Canada. The bear has a varied diet, foraging for fruits, nuts and berries, scavenging carcasses, fishing for salmon and hunting other large mammals. 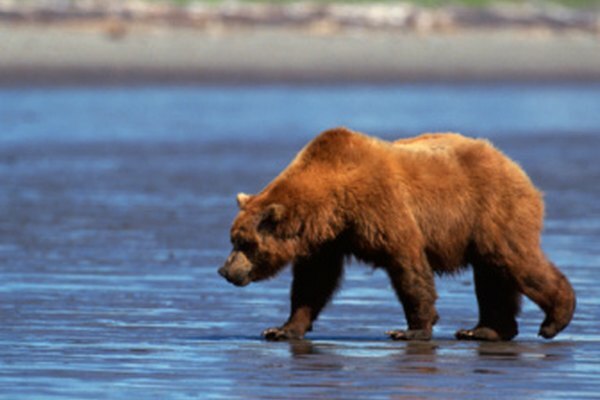 Bears hunt for anything, from small rodents to moose or elk. Coyotes might not be an ideal meal but, if hungry and given the chance, a brown bear will kill and eat them.